Lots of metered street parking as well as multiple lots and garages with free parking. *Raw milk cheese. **consuming undercooked meat, poultry, seafood, shellfish or eggs may increase your risk of foodborne illness. The Cherry Blossom Festival cherry bliss grilled cheese sandwich made with brie and cherries was absolutely sensational! It was incredibly delicious. I would love to see this on the menu throughout spring and summer. Service was terrific and the atmosphere was very pleasing. 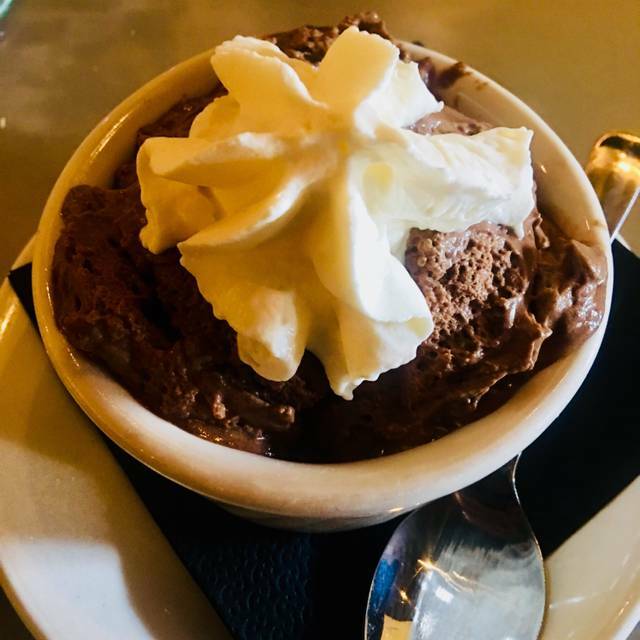 Cheesetique is our go-to place pre-theater, but that's because Shirlington options leave a lot to be desired. This last visit was on a day with decent weather, so they opened outdoor seating. Apparently they hadn't staffed for the additional space. Our waiter was (trying to) cover indoor and outdoor guests. Service is always slow at Cheesetique (it can easily take 15 minutes to get a glass of wine while you are seated not more than 15 feet from the bar and can watch the bartender putter around without priorities). This time slower than ever. We had to ask another server to find our waiter after not seeing him for at least 20 minutes. Food is adequate; prices are very good; location is great. We will keep going back, but Cheesetique really needs a better manager and some staff training. Great place for a casual but creative meal with a good wine selection. The staff are always attentive and knowledgeable about the cheese selections and wines. 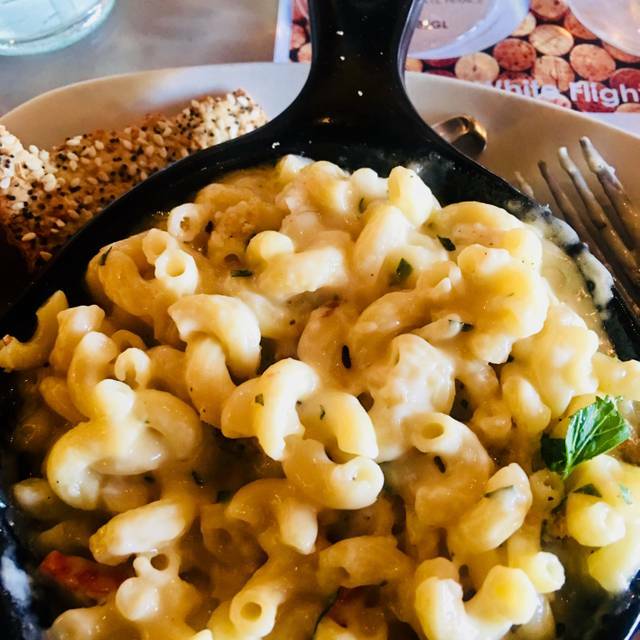 They turn a grilled cheese into a culinary work of art, and their mac and cheese options are also wonderful. I've never been disappointed. The service is remarkably poor. 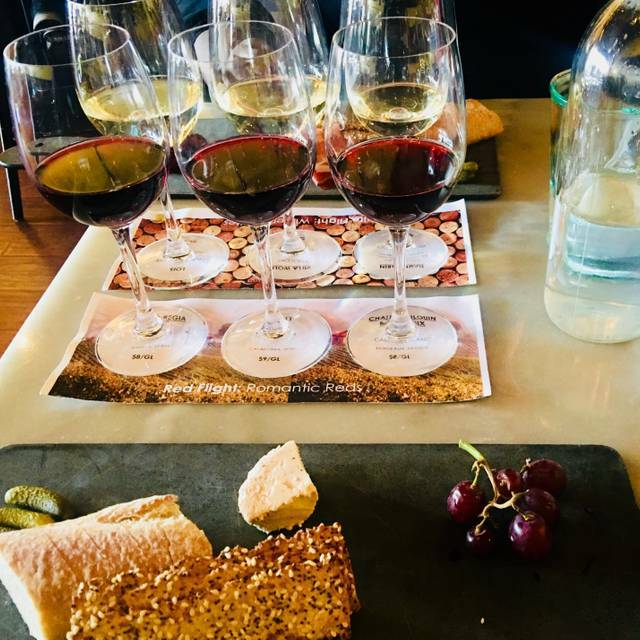 They consistently make mistakes on orders, serve entrees moments after appetizers have arrived so there is no room in the table, run out of types of wine (it’s a wine and cheese shop, for Pete’s sake - can’t they stock the wines on the menu? ), and forget to follow through on requests. Geesh. A bustling, cozy casual dining room and cheese shop with delicious cheesy food. Not necessarily spacious, but the well thought out menu and myriad of selections make up every bit. We came for raclette--melted cheese scraped onto vegetables at the table. It was delicious! 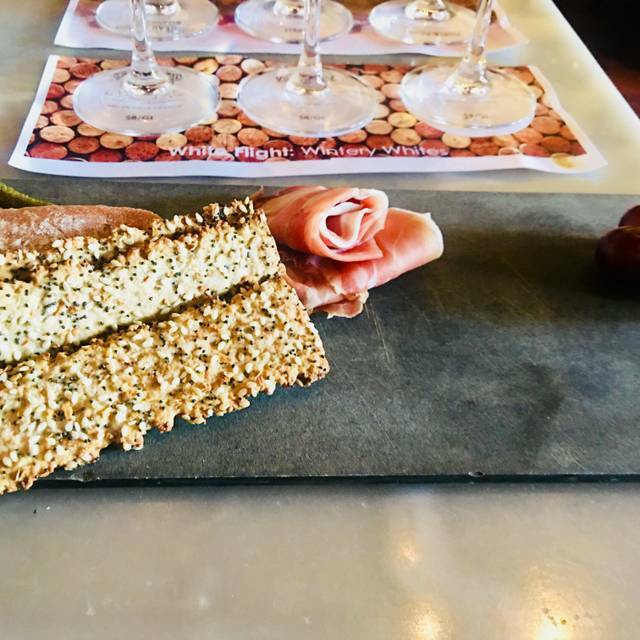 With good wine pairings and great cheeses, this is a go-to spot for weeknight meetups. Cheesetique is a quaint little restaurant, with limited seating, known for their selection of cheeses. This was the first time we sat down and ate; the food was very good; wine was ok.
Hostess/Manager was pretty obnoxious as I came in about my seating. Then, service was very slow and not very attentive. Food was very good. Happy hour means discount on wines AND appetizers! Enjoyed the Poutine for the first time, and recommend it! Service was poor. Our drinks, which we ordered well before our appetizers, arrived after we got our food. Second round came after we were done, and after a reminder. My friends grilled cheese was awesome, my ‘cuban’ was just OK. Probably wont go back. Good place for a meal before the movies. This restaurant has a small but nicely varied menu. Good soups and a variety of grilled cheese sandwiches. Nice salads. A good happy hour during the week. Try to get a table away from the door on cold days! Great for our group before a show at signature! We went to the Shirlington Cheestique on Tarot night -- the first Thursday of each month. It was great fun! There were two Tarot readers and my daughter and I both had our cards read. It is no cost along with your dinner (although the readers will accept tips if you want to do that). The food was great! Service was great! We had a cheese board, salad, shrimp cypress and the funky chicken sandwich. We had the key lime pie for dessert. It was all delicious! I highly recommend this for a fun night out. Great atmosphere. Had a great time with family and friends. Food arrived uncooked - they reheated tomato soup but grilled cheese sandwiches were cold w cheese not melted. Service was mediocre on a 1130 am reservation when we were the first ones seated. Very disappointing. Went for restaurant week brunch. Had to ask for the RW menu from my server. My server was overall just ok. Didn't make recommendations, didn't explain choices, didn't check up on us after food was brought out (another server did), was slow to bring dessert. Food was great and my 10.5 month old loved the fancy mac and cheese too. Overall space is quite cramped so recommend having reservations to ensure a table. Always a great experience. Mondays are pick your own cheese board day. This place will ruin you of all other cheese board experiences. Getting the cheese board was a little longer than usual due to the custom selections we made. In fact long enough for our main course to arrive first. They did correct this issue so we could enjoy the cheese board before our entrees. The grown up grilled cheese with bacon is my favorite with the homade rosemary chips and chocolate mousse for dessert. 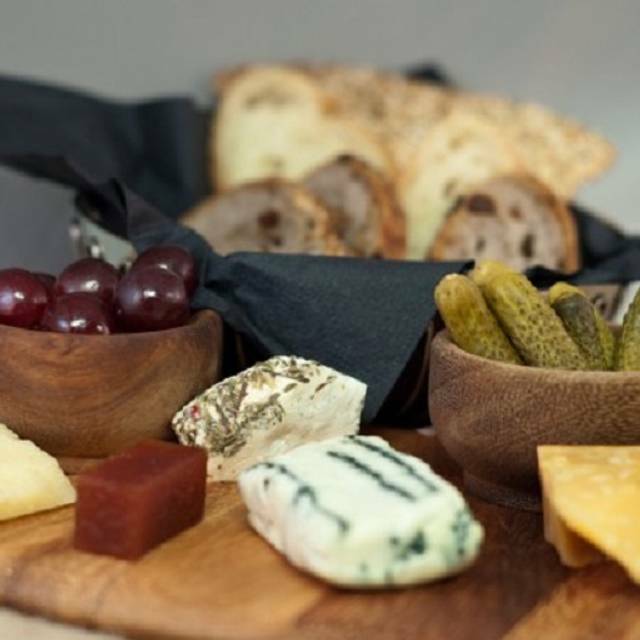 After dinner, you also get 10% off any purchases from the cheese counter. They have a wide selection and will let you try any and all you would like. We got our table reserved to eat before going to see a movie. The wait staff was attentive to our needs and the food was good. The happy hour prices were reasonable for both starters and wine choices! Loved the cheese board! Bought some to bring home. Finally ordered a cheese/charcuterie board as my entree this time... perfection. 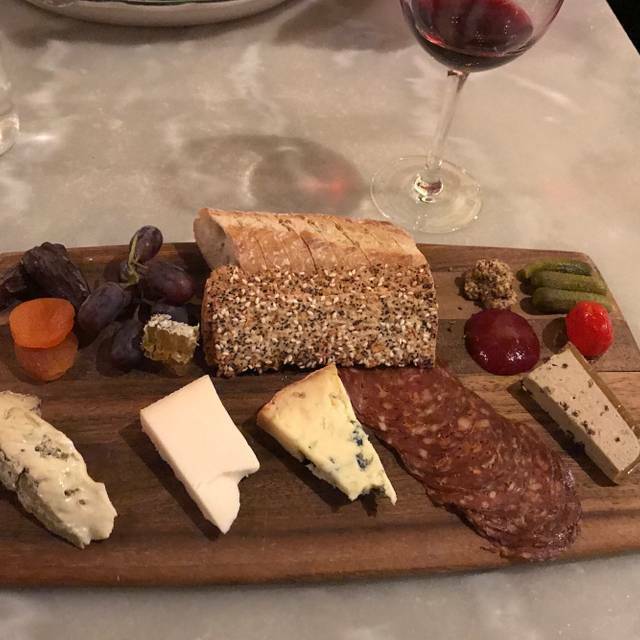 I usually get a fancy grilled cheese or quiche but after seeing the cheese boards walk by each visit I decided I had to get one. They have a selection of 10-12 cheeses to choose for the board and 5-6 meats. There are some extras you can order but was happy with the sweet and savory additions that already came with the board. Also ordered a nice glass of house red. My friend had the arugula salad and fromage fort...she enjoyed both. Service was great! Went for hubby’s birthday, he loves this place. Service was mediocre. Our server was pleasant just not very attentive. My husband had to go up to the bar to ask for another glass of wine. Total bill was close $100, not sure it was worth it. Disappointed in the Lobster Mac and cheese because there were shells in it. Everything else was good. Great service and ambience. Excellent place to sip some wine, graze, and catch up with old friends. The food and drinks were absolutely wonderful, but it was our server that made the evening. What a delight! Food is always great here! And on the first Thursday of the month they have free tarot card readings. Best choice pre-theater at Signature. Bar is oddly but consistently (inexplicably) very slow to deliver. Every plate we (over several visits) have ordered has been very tasty. Room is loud. Probably no way to politely ask cackling after-work tables to hold the decibels, unfortunately. To further explain my 3 star rating: dreary (and loud) ambiance (this place really presents itself as a cheese-monger, and oh -- by the way -- we have a kitchen); slow bar service (they actually could have sold more wine -- by the glass -- if they'd have kept up). But food is good and at a good value. This will remain our pre-curtain choice until (please, please soon!) a better option opens w/in walking distance to theater. The Cheesetique in Shirlington is nice and quaint. Very cozy. i had the Pimento Grilled cheese with mixed greens. Very tasty. It was on a Sunday so my friend and I split a bottle of bubbly and made mimosas. Price for the lunch was really reasonable. Our server was amazing and so friendly! Cheesetique was great as always. However, reserving the table on Opentable was problematic. We booked for three at 1:45pm and Opentable confirmed. But when we got there, they had no tables greater than seating for two available. We ended up waiting over 45 minutes for people to finish up and leaves before we were seated. They said something about an Opentable algorithm not being quite right. My friend and I truly enjoyed the food, ambiance and service. The pairings were delicious the white and red wines and the goat cheese was delightful. Never been there before. Polite and friendly wait staff. The food was decent, not superb. Don’t order lasagna - it takes forever and we had to wait like 40 minutes. Drinks are overpriced. Waiter was was a bit overly attentive. I mean we don’t need apology for the long wait, we want food! Overall not bad, but we won’t be running back. Food was amazing as well as the wine selection. Service was a bit slow, seemed like they were not staffed adequately.